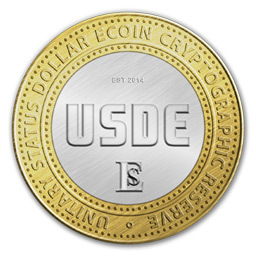 The USDe Coin project’s purpose is to attract worldwide adoption of a fair, modern, debt and interest-free peer-to-peer network driven currency, which recognizes advancements in technology and consumer needs, while adhering to strict standards of professionalism, integrity and transparency. Central governments can’t take USDe away. Because the currency is decentralized, you own it and no central authority has control. For those who find their trust in the traditional banking system unravelling, this is a welcome incentive.